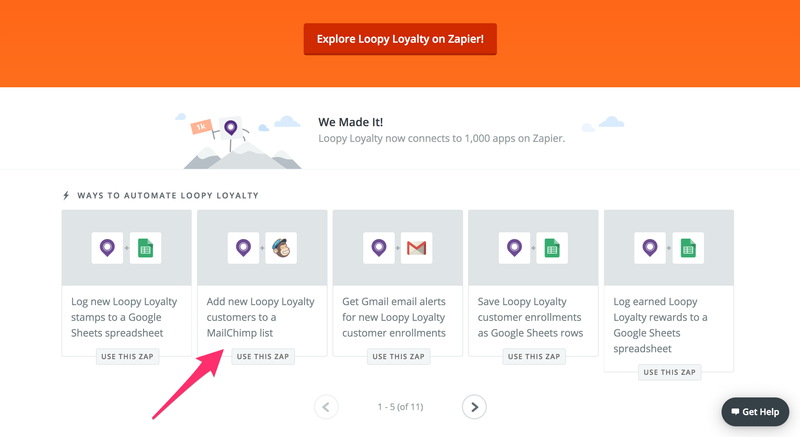 1 - Visit this Loopy Loyalty page on Zapier and click on the Loopy Loyalty & Mailchimp template. 2 - Click on 'Create this Zap'. 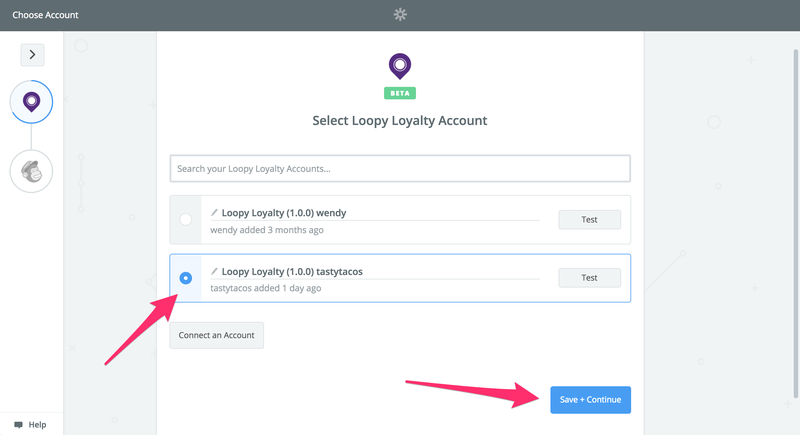 4 - Connect your Loopy Loyalty account by entering your username and password. Then click 'Save + Continue'. 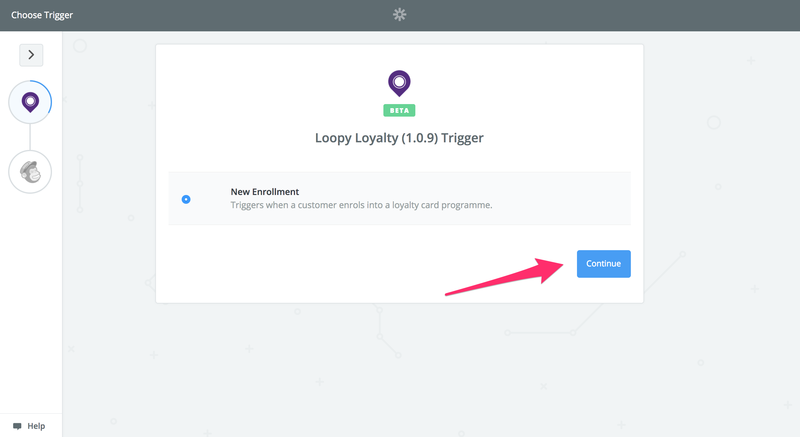 5 - Select your card in the dropdown and click 'Continue'. 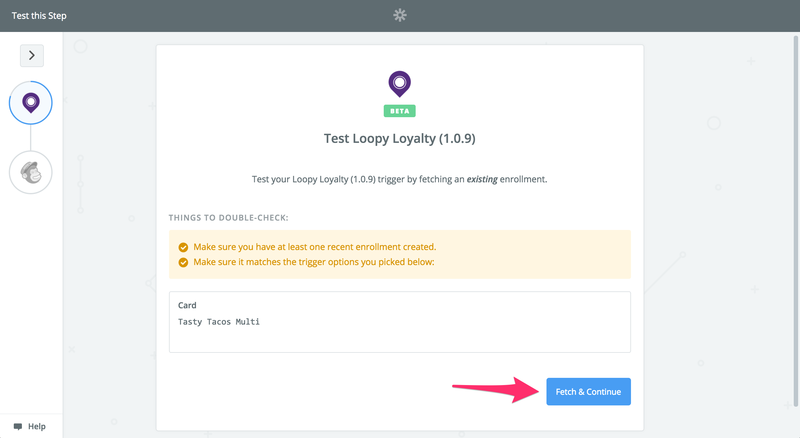 6 - Click on 'Fetch & Continue' to test this enrollment. Then click 'Continue'. 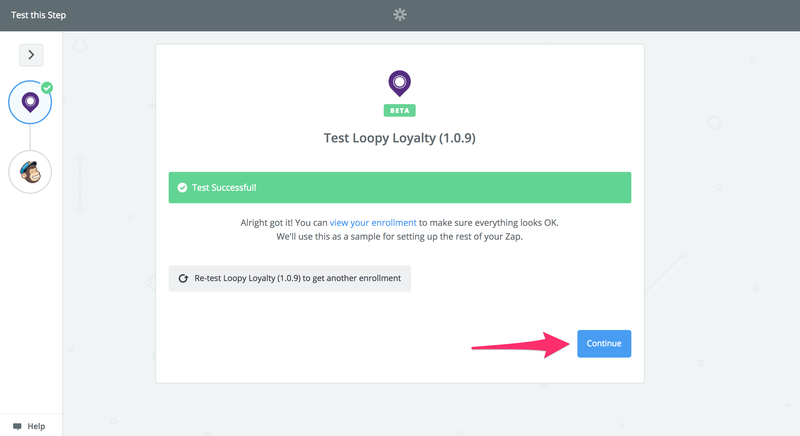 Now it's time to link this enrollment to your Mailchimp list. 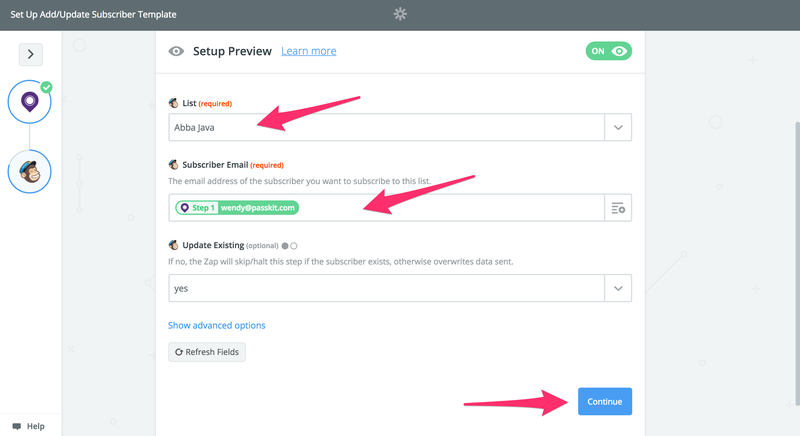 1 - Ensure 'Add/Update Subscriber' is selected and click 'Continue'. 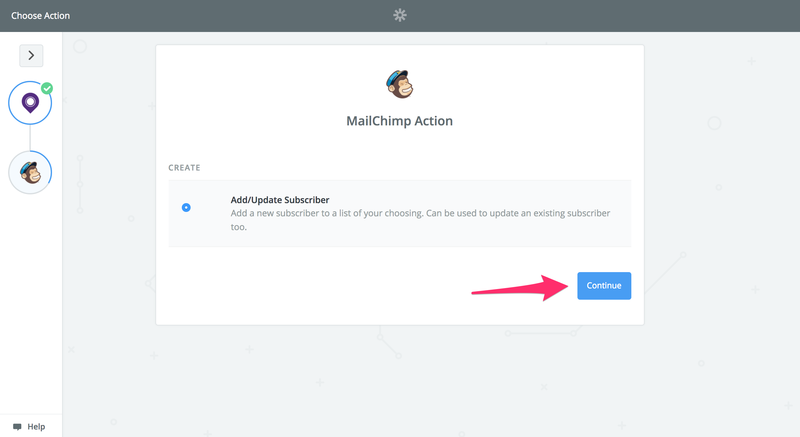 2 - Connect your Mailchimp account and click 'Save + Continue'. 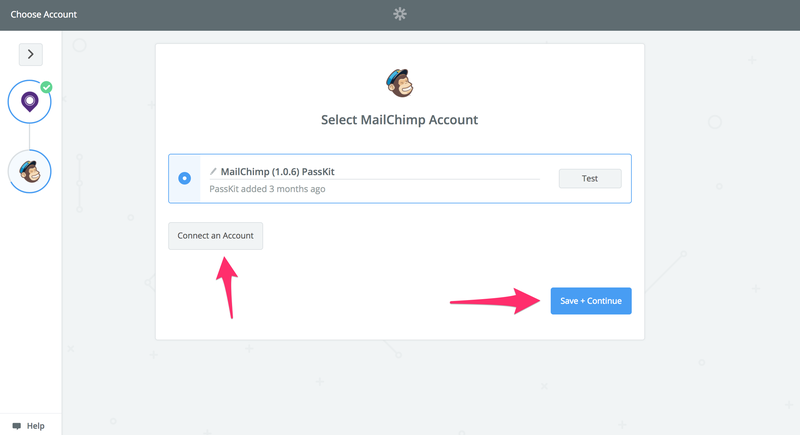 3 - Select your Mailchimp List. 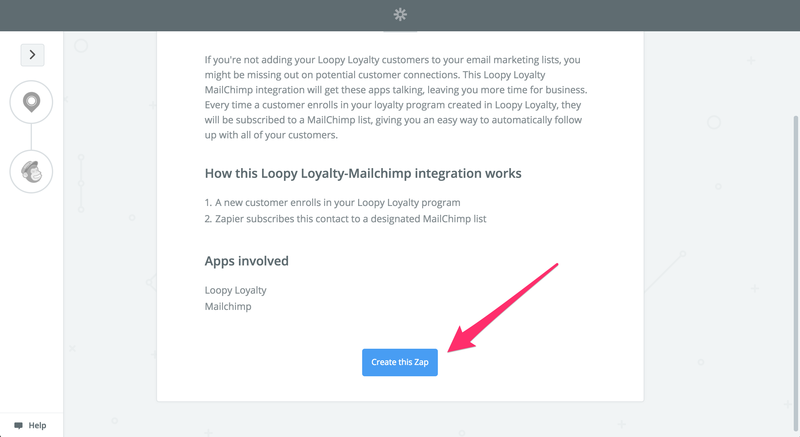 Select the Loopy Loyalty email address to add to Mailchimp (this may be pre-populated already). Then click 'Continue'. 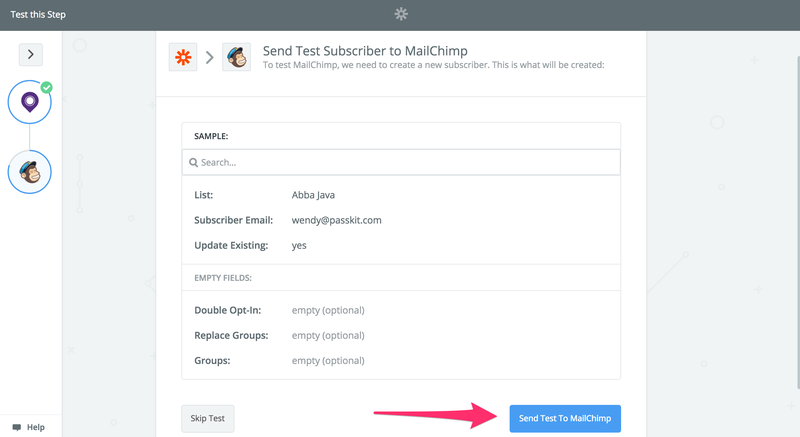 4 - Send a test to Mailchimp to see that everything is working correctly. 5 - If the test works, that means everything is set up correctly. 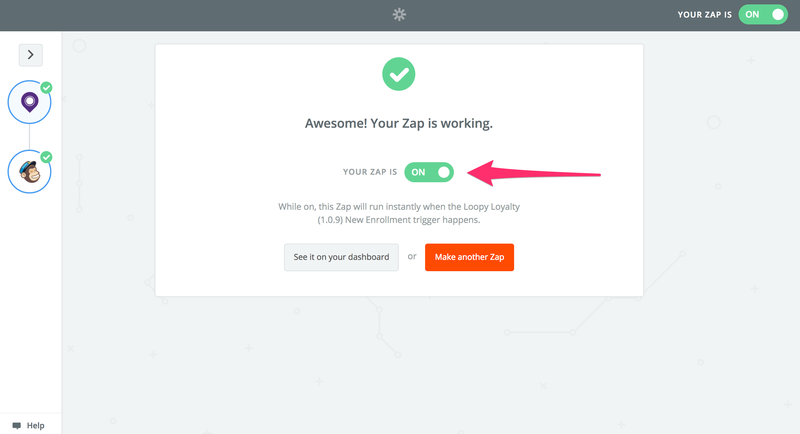 Click 'Finish' and Turn on your Zap! 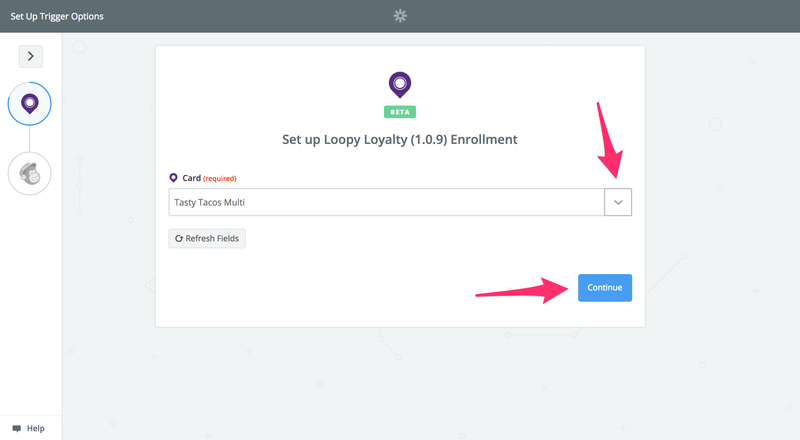 All new enrollments to your Loopy Loyalty program should now automatically be added to your list in Mailchimp.